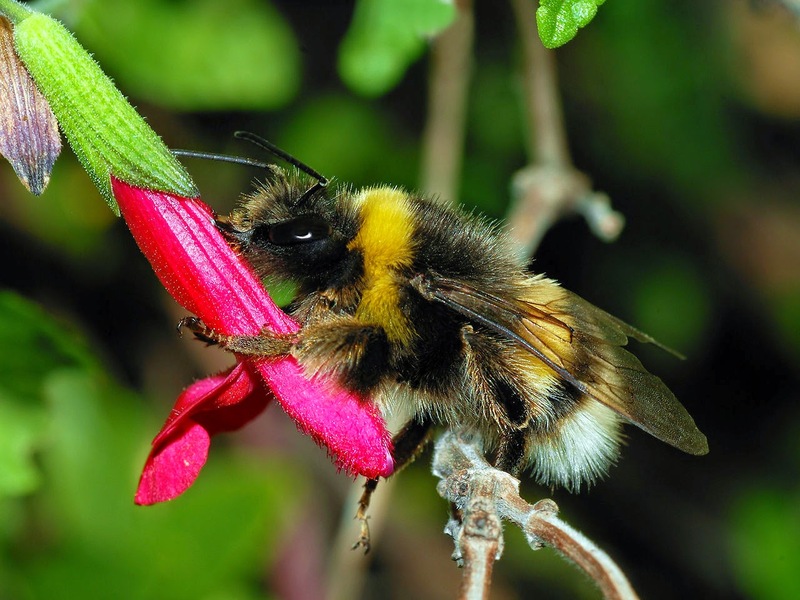 The Skeptical Review: Skeptically Challenged on "Bumblebee stings"
Skeptically Challenged on "Bumblebee stings"
Susan Gerbic was a guest on the Skeptically Challenged that was released on October 3, 2014. The topic discussed was her planning and execution of ‘Operation Bumblebee’ to see if her group could find evidence if psychic Chip Coffey used hot reading techniques during his psychic performances. Long story short, they were not able to garner any such evidence. At least at the Coffey performances Gerbic and others attended, it appeared to be a cold reading affair. Prior to the release of this episode of SC, a blog post on Swift was posted by Sheldon Helms one of the other participants involved in Operation Bumblebee. I read it with great interest, but came away from it dismayed. In part because I think the piece was overly long with no good payoff, and it never clearly stated what the goals of the operation were and what the skeptics involved thought they accomplished. I was dismayed in part due to all the subterfuge of taking on false names, personas, and sticking to made up stories...it just struck me as icky. Gerbic’s interview cleared some of this up, and I would recommend listening to it if you read the piece on Swift. It is clear from both the Swift piece and this interview that a lot of time and effort went into this group investigation of Coffey. People had to be recruited, stories had to be concocted, money had to be raised, etc. From this aspect I found it very interesting, and what Gerbic’s group was trying to attempt to do I commend. Gerbic does recognize the ick factor, and defended its necessity reasonably well. Unfortunately, so far there is no real payoff other than Coffey was not able to suss out that all the hits he seemed to be having with Gerbic, Helms and others in the group were not real hits. Coffey's spirits and psychic powers failed to notify him of the ruse. It is something, but if I were a curious person on the fence about psychics, the end result of this effort just does not have much impact. Coffey did some cold reading, the skeptics played into Coffey's readings as accurate and the great psychic did not figure it out. It falls a bit flat. I do note that at the end of the interview Gerbic indicated that there may be another shoe that could drop on this apparently ongoing effort. If things pan out there might be more of an ‘a-ha!’ moment. Gerbic begged off into going into specifics. I hope this is the case and there is more of an 'a-ha' moment. This did cause me to wonder why the piece on Swift was published or why Gerbic was doing an interview when apparently this operation is not yet concluded. Perhaps the above noted ‘Ick’ factor would seem more worth it if there is a big reveal to come. Maybe, it will still be as icky. Maybe this round of going public is part of the payoff in the end. After reading the Swift piece, I do recommend the reader take the 50 minutes to listen to this interview. It does clear some things up, explains what they were attempting to do, but it did not answer everything and does raise the specter of more to come. Thank you Howard. It sounds like you "got it" Yes I felt it necessary to publish what we had accomplished so far. The goal of this project is not just to sting one specific medium, but to inspire and train others in our community. Also I have an obligation to the people who gave us the money to do this. Plus coming forward with the story have other benefits that are not clear yet. I'm not eloquent, nor a great writer, so crafting a narrative without that icky feeling is not something that is going to happen. I was just approached by a man this week who asked me what he could do to fight the woo in his community. I explained that you need to look at your goals and decide how will you know when you are done. (I've done this but can't reveal it completely here in a public area) Also you need to play to your strengths, what resources do you have (most people have more than they first think). Then make the plan work around those resources and strengths. This I have done, again I can't really discuss it. So far there does not seem to be a sting. Yep that is exactly true. If Chip and other medium friends are reading this (and I always have to assume that they are) then they are aware of our names and know what we look like. They even may avoid the LA and San Jose areas, or be extra careful if they do. No more cold-reading in those towns. I'm currently working on phase 2, it could happen really soon. It just depends on something that is completely out of our control. Trust me when I say we have more going on than just catching a medium at a cold-read. If we can make phase 2 happen, then we should be able to reveal all. I'm a bit worried about revealing too much though as I (and others) would be able to sting them over and over again, going after the bigger names in turn. Its a balance, I want to report back and educate all those that want to learn how to do this, but if I talk about it too much in places that might appear when a medium is looking, then I ruin it. I really don't know what to do except just keep doing it and hope that you all have the patience to just hope we can pull it off. Sorry I really wish I could say a lot more.